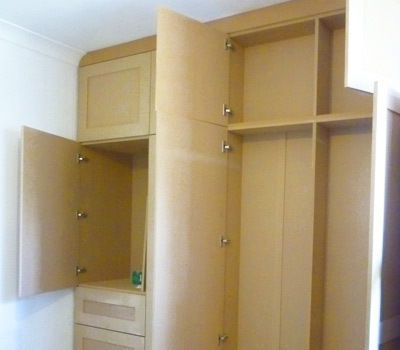 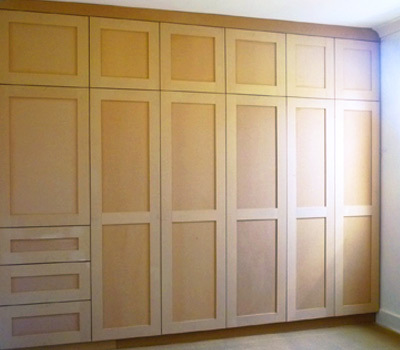 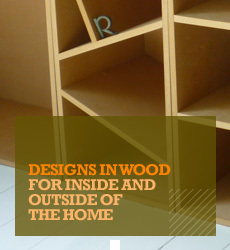 Fitted wardrobes made in MDF with Shaker style doors with three soft closing drawers. 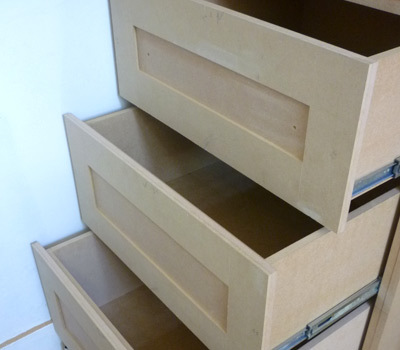 adjustable shelves, coat rails and shoe storage. 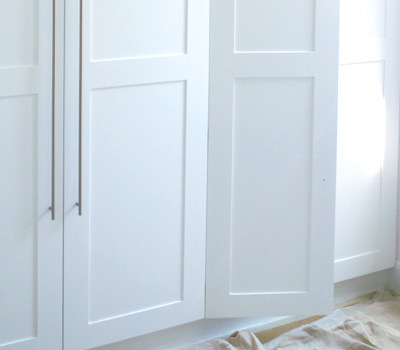 Contractor painted cabinets.